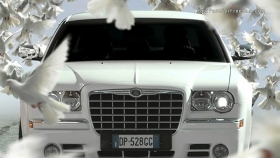 A similar version of this Chrysler 300 ad using Lancias aired in Europe last month. DETROIT -- Chrysler Group's Olivier Francois, CEO of the Chrysler vehicle brand, has tapped Armando Testa, his ad agency for Italian Lancia, to refashion a Lancia commercial for the U.S. market. Hiring an Italian agency for the work may not sit well with American taxpayers, who bailed out the ailing Chrysler earlier this year with billions of dollars in loans. And all of the several hundreds of staffers of Chrysler Group's longtime ad agency, BBDO Detroit, will be out of work at the end of January when the contract expires. The 30-second commercial for the sleek Chrysler 300 sedan broke Thursday on national TV and is very similar to a Lancia commercial from a year ago calling for the release of Aung San Suu Kyi, Burma's pro-democracy leader and 1991 Nobel Peace Prize Laureate, who has been in and out of house arrest since 1989. Although the car is shown, it is not the focus of the commercial. A version of this latest video was initially created as part of the Lancia brand's sponsorship of the 10th World Summit of Nobel Peace Laureates in Berlin last month. Lancia also sponsored the event a year ago, when the first Lancia spot broke. "We produced the TV film in honor of all those who put their lives at stake in the hopes of making the world a better place," Francois said in a prepared statement. "For Chrysler, this is a chance to use our brand image to join with others in the fight for peace and to knock down the walls that divide us. We at Chrysler believe in doing the right thing and making a difference." Julie Roehm, a former Chrysler Group marketing chief, said social causes have a place in advertising, but she believes the automaker chose the wrong one with this execution. "The message is a disconnect to what matters to people here," she said. Americans are focused now on getting back to work and the economy back on track, she said. "I don't think the vast majority of Americas know who this woman is or frankly care." She said this commercial "says they have no idea who their customer is in the U.S. or have a clue how to connect with them." Peter DeLorenzo, founder of Autoextremist.com and a former BBDO creative on Dodge, called the new work from the Italian ad agency "patently absurd." He said, "I'm sure the hundreds of people from BBDO who are being blown out the door are going to just love this, not to mention the U.S. taxpayer." If Chrysler was bent on social causes, the brand should have contributed to food banks in the region surrounding its suburban Detroit headquarters. "At least there would be a shred of relevance in that gesture." Since early September, Chrysler Group has heard pitches from several agencies, including Publicis & Hal Riney, San Francisco, for what were to have been fourth-quarter projects. Richards Group, Dallas, was awarded the new Ram truck brand after the pitch, and Chrysler's diversity agency, GlobalHue, Southfield, Mich., is now handling Jeep.